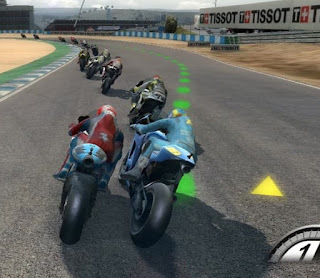 The series is back in the hands of Milestone Studio, who developed MotoGP 08 before Capcom and Monumental Games took over to produce two games (MotoGP 9/10 and MotoGP 10/11) in the four interim years. Having been "re-invented by Milestone", this year's game comes with a new engine packing "redesigned graphics" and new physics, environment modeling and bike handling. The new Career mode will "bring players into the 2013 championship through the eyes of a real MotoGP rider", with the full season of bikes, riders and tracks present, as well as letting you try the IRTA Test or jump into a Quick Race. Multiplayer will also be present, and will apparently "re-create exciting events - inspired by reality - to MotoGPs classic elements". Let us know what you think of MotoGP in the comments below!